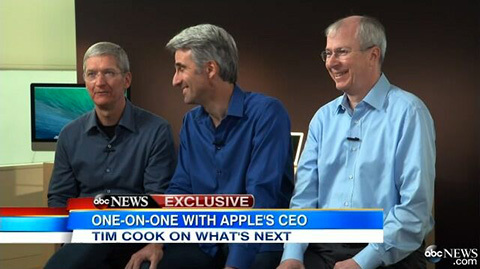 In honor of today’s thirtieth anniversary of the introduction of the Macintosh, Apple CEO Tim Cook and executives Craig Federighi and Bud Tribble recently sat down for an interview with ABC News. ABC’s David Muir introduced a short preview of the interview, which airs in full tonight. You can check out the preview after the break.